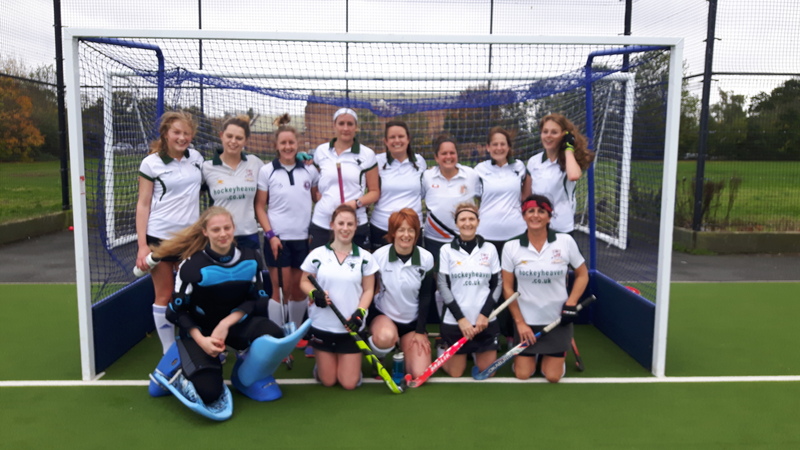 Bromsgrove Ladies 3s took to their home pitch on Saturday against opposition Kings Heath Pickwick 1s. It was an intensive first 10 minutes of possession by both squads. While KHP showed their strength in driving the ball hard, our defense matched each run with decisive tackles to win it back and the team altogether played accurate and well paced passes to bring the ball back up the pitch. BHC seemed to maintain possession for most of the 1st half but faced a tough defensive line who relented to let any our our shots on goal in. At half time the score was 0-0. Shortly into the second half KHP made a brilliant run into their attacking D and during a fierce tussle which ended with misplaced foot on the line from our defender, leading to a penalty flick being awarded and confidently won by KHP. With the score 0-1 Bromsgrove Ladies made the most of their next play and scored a goal straight back after player Izzy Bridges made a strong pass directly to Dee Martin waiting in the D who proceeded to place a shot over their keepers feet levelling the scores to 1-1. BHC players work rate excelled in the final 20 minutes and we kept the ball in our attacking half for the rest of the game despite no further goals.